If that wall had a headstone, it would read, "A Failure to Communicate." Sometimes it's simply a language or cultural barrier. At other times it's a clash of ideas or intentions. It may be a misunderstanding over a product's price or design or quality. Whatever the cause of poor communications, it can doom a foreign venture or at the very least create painful headaches and lead to staggering costs. That's why Boukje Koch can be a godsend to investors and businesses interested in setting up shop in South China. 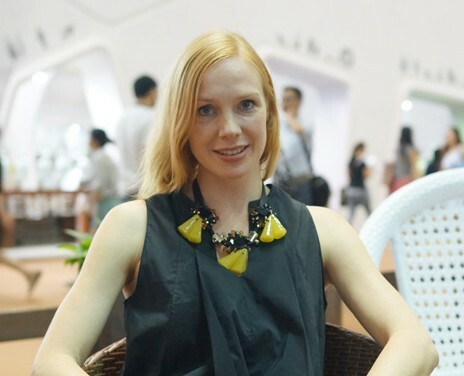 She is the co-founder and CEO of Ask4Me Group, a Dutch design and engineering firm that can do virtually all the heavy lifting for clients enticed to South China by the region's manufacturing reputation. "We translate our customers' ideas to the factories," she explains from her office, 24 stories above Guangzhou's Yuexiu Distirct. "We understand both sides. And because we are designers, we take extra care." She and a partner launched Ask4Me in 2007, opened an office in Guangzhou in 2008, and began by helping clients from the West who had products they wanted manufactured in China but had trouble communicating with factories from abroad. Sometimes the product ideas from western companies couldn't be turned into reality by the Chinese factories. "It's not always possible to manufacture products the way the firms envision them," Boukje explains. "But we can come up with solutions that satisfy both sides - and explain why we must do what we need to do." Boukje, 37, is a design engineer by both training and inclination. "When I see something, I want to know how it's made" - and how it's designed, she says. She earned a master's degree in industrial design engineering in Delft, a lovely Dutch city that has a history of producing fine art. It is the home of Johannes Vemeer, the 17th century Dutch master. The city also is famous for its production of the blue ceramic ware that bears its name and, which, coincidentally, was initially modeled after 17th century Chinese porcelain that was imported to Holland. Sometimes Ask4Me will design a product for a client and then shepherd it through the entire production process - from start to finish. At other times it might tweak a product somewhere along the way. And then there are those clients who merely want Boukje and her colleagues to be their eyes and ears in the factory to assure that a product is manufactured precisely to specifications. Among the products that Ask4Me shepherds along the manufacturing belt are scales, toys, cosmetic devices, small electronics, barbeque grills, Chinaware, design books, home decorations, and chain saws. The firm's biggest item is a solar bicycle light. Boukje came to China in 2005. She then was working for a Dutch firm that deployed her as chief product manager for a team that set up operations in Wuxi, not far from Shanghai, to produce gifts. For the culturally inclined Boujke - she also has performed as a dancer - Wuxi was a little on the slow side at that time. She already had made contacts in Guangzhou, and she thought the cultural possibilities were more promising here. So she and her partner set up shop in the city and began by helping western companies deal with local factories. The firm has grown to 10 people - half of them Chinese, half designers and engineers - and has a client base that spans the globe. Ask4Me also now has quite a few Chinese clients - about 25 percent of its customers are Chinese firms needing production and/or design help. As the company has grown, Boukje finds herself withdrawing from doing as much design work as she once did, since she needs to devote more time to the business side. She believes the decision to locate in Guangzhou was a prescient one. While Beijing and Shanghai might be more stylish places to live and work, Guangzhou has the entrepreneurial zeal that meshes with the mission of a company like Ask4Me, Boukje points out. "Here they know how to get things done," she says. She sees a greater appreciation for design in Guangzhou than when she founded Ask4Me, both with factory management and among attendees at the Canton Fair, where Ask4Me has become a regular participant since 2010. Factories also have become better at communicating and at understanding the needs of clients, she says. "I'm happy that I'm in this city," she asserts. "The factories that we can find in this area are good." The "made in China" branding will continue to prosper, Boukje believes, because local manufacturers have come to realize that quality design can give them a competitive edge. Some Chinese brands are gaining increasing recognition in overseas markets for their "good quality and competitive prices," Boukje says. For example, she points to a tablet made by Huawei that is popular in Holland, "even though we could never pronounce its name right." There now is a growing appreciation for aesthetics as well as functionality during the product development phase. Boukje lives in Guangzhou with her four-year-old son, who, she acknowledges, speaks better Chinese than she does. She also bikes to work, something the Dutch do even more than the Chinese, and laments that Guangzhou is not more of a bike friendly city. If it were, Boukje suggests, Guangzhou would be a cleaner, healthier city. She finds doing business in China easier than when she first arrived, even though there are more legal constraints today. Perhaps flexibility has dissipated, but communication from factory management has improved, so the overall environment in south China is more conducive for a company like Ask4Me. And even though factories may be more communicative and receptive in the way they deal with clients, the need still exists for an entity like Ask4Me that can make "the road from idea to finished product as smooth as possible," as the firm claims in its literature. That concept should be music to the ears of local authorities and boosters of the South China economy, because Ask4Me is a company that helps keep the wheels moving to assure that "Chinese made" actually gets manufactured the way investors want their products made.